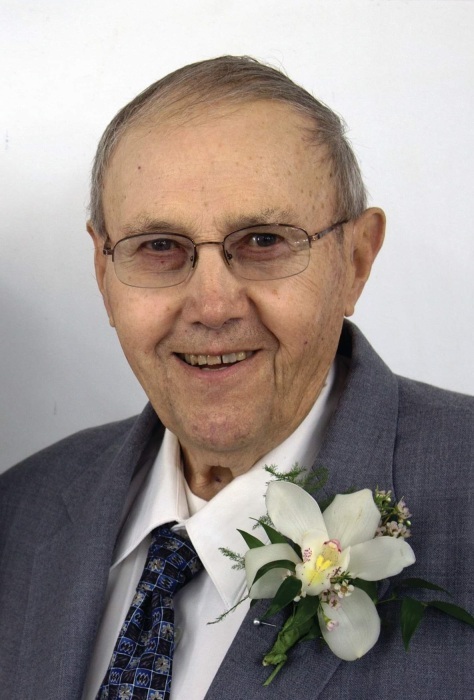 Willard G. Warnken, age 85, of Winona, passed away on Saturday, March 16, 2019, in the comfort of his home. He was born on May 5, 1933, in Warren Township, MN, to George and Clara (Eggert) Warnken. He was a 1952 graduate of the Rushford High School, and was united in marriage with Roberta Newland on October 18, 1958. Willard was a farmer for many years, and also worked various part-time jobs. He was a life-long member of Trinity Evangelical Lutheran Church in Wilson, where he served several terms on the church council. He will be remembered for his love of dancing, especially the Polka, and how he looked forward to socializing and spending time with his family and friends. Willard is lovingly survived by his wife, Roberta; children: Lynda (Mike) Burkhart, Beverly (Nick) Celius, and George (Nancy) Warnken; grandchildren: Jennifer Polus, Christina (Nick) Pruka, Andrew Reps, Angela (Hilman) Speltz, Diana Hall, and Shelby Warnken; great-grandchildren: Mason, Autumn, and Leah Polus; Logan and Addysen Pruka; Payson, Easton, and Hilson Speltz; and Lily Reps; several step-grandchildren and step-great-grandchildren; brother: Gerald (Dorothy) Warnken; sister: Arlene Lier; as well as other relatives and friends. He was preceded in death by his parents; daughter, Wanda Warnken; daughter-in-law: Sharla Warnken; great-grandson: Vinson Speltz; and brother-in-law: Bob Lier. Visitation will be held from 4 PM until 7 PM on Friday, March 22, 2019, at Trinity Evangelical Lutheran Church in Wilson, and again at the church on Saturday, March 23, 2019, from 10 AM until the funeral service at 11 AM. The Reverend Anthony Straseske will officiate. Burial will be in the church cemetery. It is respectfully requested that in lieu of flowers, memorials be directed to the Luther High School Tuition Fund in Onalaska, WI. Online condolences or memories may be left for Willard’s family at www.watkowski-mulyck.com.